Lineage. Constituted 337 Bombardment Squadron (Heavy) on 28 Jan 1942. Activated on 15 Jul 1942. Redesignated 337 Bombardment Squadron, Heavy, on 22 Jun 1943. Inactivated on 29 Nov 1945. Redesignated 337 Bombardment Squadron, Very Heavy, on 13 May 1947. Activated in the Reserve on 29 May 1947. Inactivated on 27 Jun 1949. Redesignated 337 Bombardment Squadron, Medium, on 6 Nov 1953. Activated on 18 Nov 1953. Discontinued, and inactivated, on 15 Mar 1963. Redesignated 337 Bombardment Squadron, Heavy, and activated, on 20 Mar 1963. Organized on 15 Sep 1963. Redesignated 337 Bomb Squadron on 1 Sep 1991. Inactivated on 1 Oct 1994. 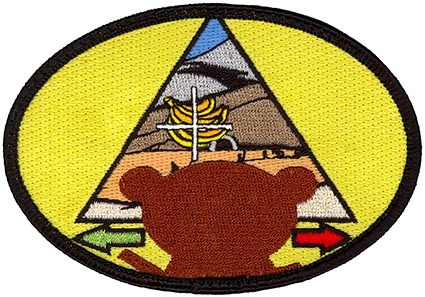 Redesignated 337 Test and Evaluation Squadron on 8 Apr 2004. Activated on 14 May 2004. Assignments. 96 Bombardment Group, 15 Jul 1942-29 Nov 1945. 96 Bombardment Group, 29 May 1947-27 Jun 1949. 96 Bombardment (later, 96 Strategic Aerospace) Wing, 18 Nov 1953-15 Mar 1963. Strategic Air Command, 20 Mar 1963; 96 Strategic Aerospace (later, 96 Bombardment) Wing, 15 Sep 1963; 96 Operations Group, 1 Sep 1991; 7 Operations Group, 1 Oct 1993-1 Oct 1994. 53 Test and Evaluation Group, 14 May 2004-. Stations. Salt Lake City AAB, UT, 15 Jul 1942; Gowen Field, ID, 6 Aug 1942; Walla Walla AAFld, WA, 31 Aug 1942; Rapid City AAB, SD, 29 Sep 1942; Pocatello AAB, ID, 3 Nov 1942; Pyote AAB, TX, 7 Jan-15 Apr 1943; Great Saling (Andrews Field), England, 13 May 1943; Snetterton Heath, England, 29 May 1943-22 Nov 1945; Camp Kilmer, NJ, 27-29 Nov 1945. Gunter Field (later, AFB), AL, 29 May 1947-27 Jun 1949. Altus AFB, OK, 18 Nov 1953; Dyess AFB, TX, 8 Sep 1957-15 Mar 1963. Dyess AFB, TX, 15 Sep 1963-1 Oct 1994. Dyess AFB, TX, 14 May 2004-. Aircraft. B-17, 1942-1945. AT-6, 1947-1949; AT-11, 1947-1949. B-47, 1955-1963. B-52, 1963-1970, 1970-1972, 1973-1985; B-1, 1986-1994. Operations. From 14 May 1943 to 21 Apr 1945, squadron conducted strategic bombardment of shipyards, submarine bases, marshalling yards, oil facilities, airfields, and aircraft plants. On occasion, flew tactical sorties against gun emplacements, rocket sites, enemy troops, and communications centers. On 17 Aug 1943, earned first Distinguished Unit Citation (DUC), striking targets at Regensburg and Schweinfurt, Germany. On 14 Oct 1943, participated in the war’s single most important raid on ball-bearing factories at Schweinfurt. On 9 Apr 1944, earned second DUC in attack on aircraft components factories at Poznan, Poland. In support of Normandy operations on 6 Jun 1944, attacked enemy field batteries and miscellaneous targets. Beginning in 1968 B-52 aircraft and crews deployed to Southeast Asia (SEA) for bombardment operations. For much of the conflict, furnished aircraft and crews to SAC organizations based in SEA. Squadron non-operational at Dyess AFB, 27 Jun-19 Sep 1970 and c. 8 Apr 1972-28 Oct 1973. Decorations. Distinguished Unit Citations: Germany, 17 Aug 1943; Poznan, Poland, 9 Apr 1944. Air Force Outstanding Unit Awards: 1 Jan 1959-31 Dec 1960; 1 Jul 1974-30 Jun 1975; 1 Jul 1978-30 Jun 1979; 1 Jul 1988-30 Jun 1990; [1 Jul] 1990-29 May 1992; 1 Jun 1992-30 May 1994. Emblem. Approved on 29 Aug 1967.